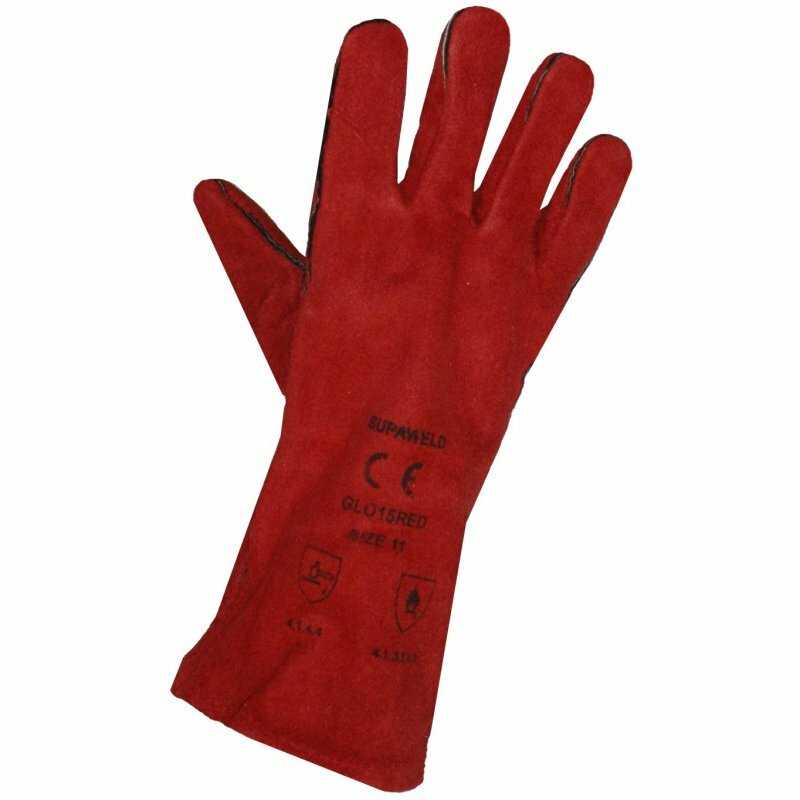 Red welders gauntlets. Leather. Conforms to EN388 and EN407. One size fits all.